FOXBORO, Mass. – Foxboro hasn’t conceded the opening goal in a game for a long time. In fact, the last time it happened was back in early September in the team’s last loss before it’s 17-game unbeaten streak. 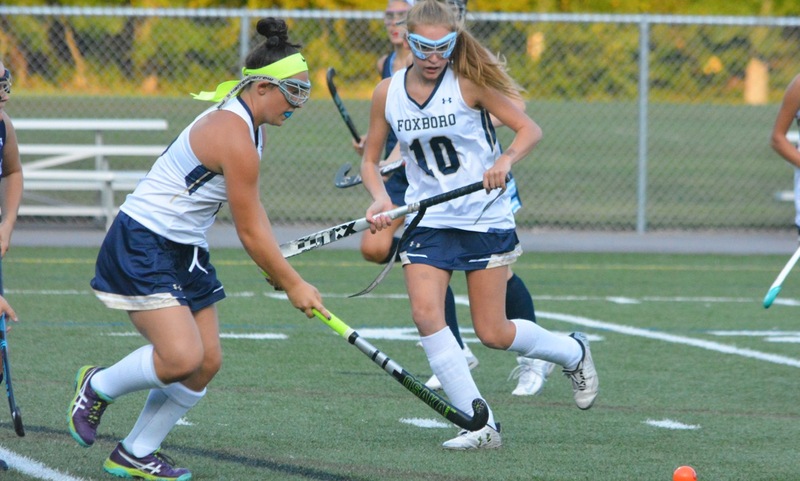 Even though the Warriors allowed Cohasset to open the scoring very early on Tuesday evening, Foxboro was able to stretch it’s streak to 18 games in a row with a 2-1 overtime win over the Skippers. Foxboro sophomore Lily Daly scored just under five minutes into the first 7-on-7 overtime to send the Warriors to their first every D2 South Sectional Final. 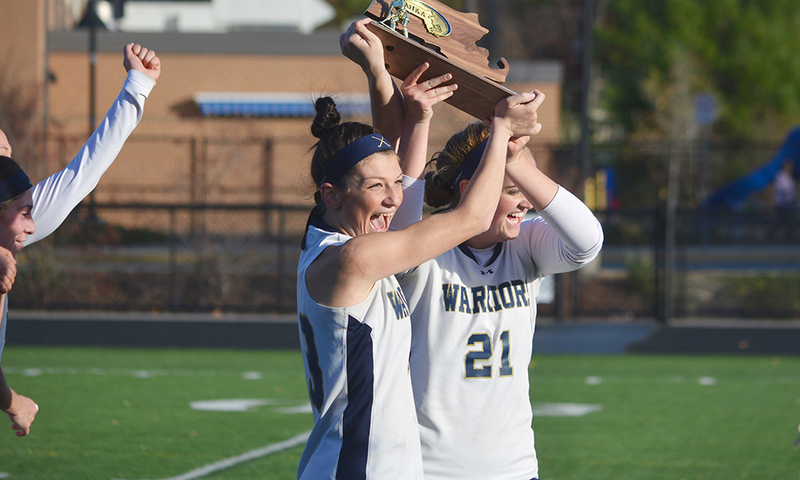 The second-seeded Warriors will take on #13 Falmouth on Saturday at Taunton High School. The time is yet to be announced. Cohasset had a burst early in overtime, using its speed on a counter attack but Foxboro goalie Kelli McCarthy stepped up to make a big kick clearance. Down the other end in a three on three chance, sophomore Sophia DiCenso dropped a pass behind the Skippers’ defense, where Daly had slipped in behind. Daly put the ball on the back of her stick and used a backhand shot to rip the ball into the back of the net for the winner. The Skippers came out flying to start the game, using their speed to dictate the pace of the game and put the pressure on the hosts. 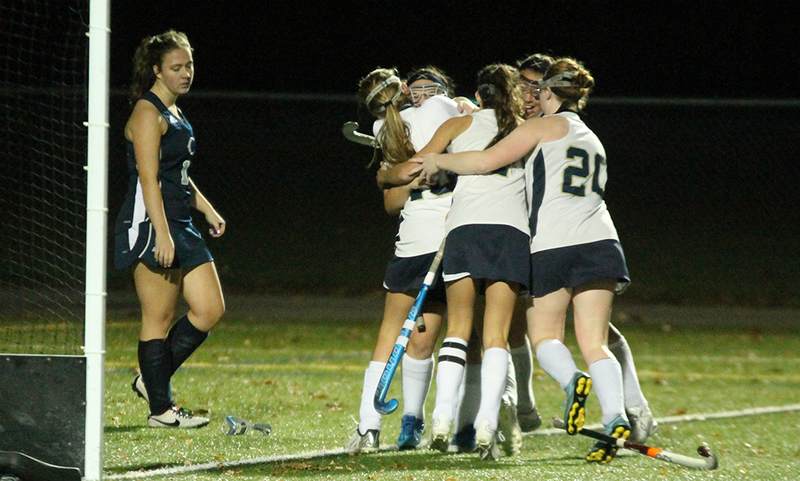 It took less than four minutes for Cohasset to find the back of the net. With the Warriors down a player due to a restart infringement, Katie Talacci tossed a shot into traffic in front and Olivia Coveney was in the right spot to tap in the opening goal. From that goal on, the Warriors seemed much more comfortable. Neither side had a penalty corner for the entire fire half but Foxboro’s continued pressure played off in the 24th minute. Ally Curran whipped in a cross from the right side, finding Cat Luciano. Luciano unleashed a shot that was deflected. Emma Daly was in the perfect spot, finding the ball on the goal line and buried it to level the game 1-1. It took until halfway through the second half for either side to earn a penalty corner but Foxboro finally got one in the 44th minute. Kelly Fisher ended up registering a shot on net but had her bid turned aside. Luciano had a chance five minutes later but the ball just skipped wide. Foxboro had a man-up opportunity for the final 7:35 of regulation and continued to put pressure on the Skippers. With 6:30 to go, Meredith Cronin had her bid from straight away saved. 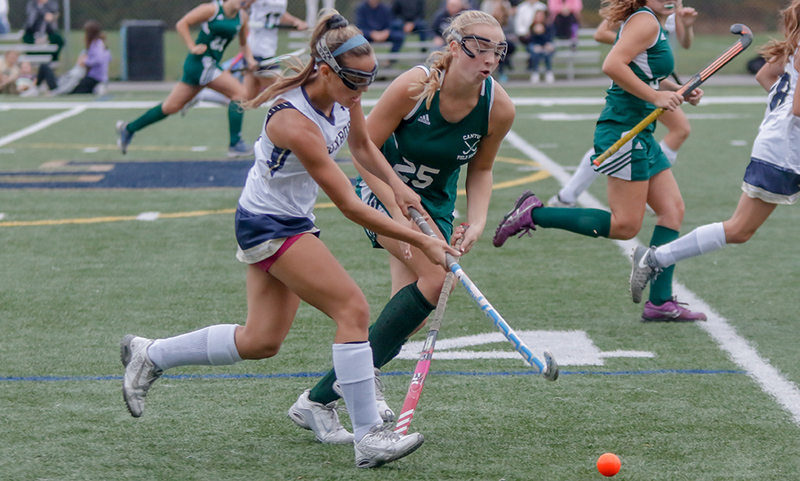 Three minutes later, Cohasset broke out on a counter attack but Angela VandenBoom put an end to the break with strong stick work. 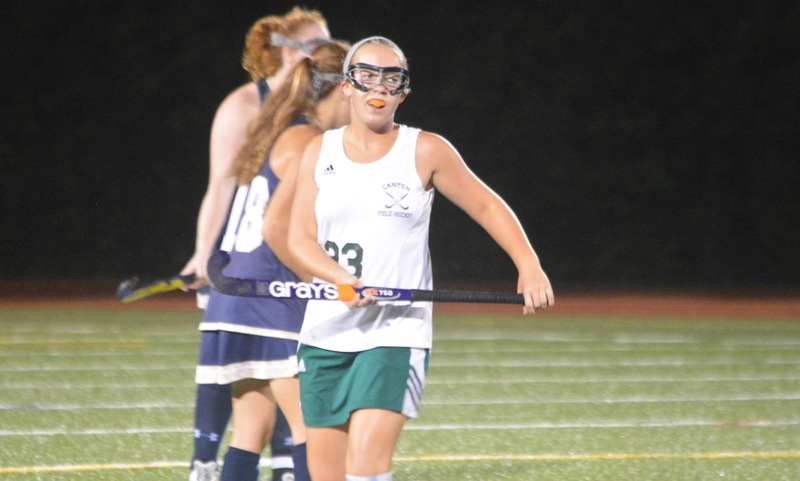 With just over 90 seconds to play, Emma Daly made a diving attempt to get a shot on goal that resulted in a penalty corner. 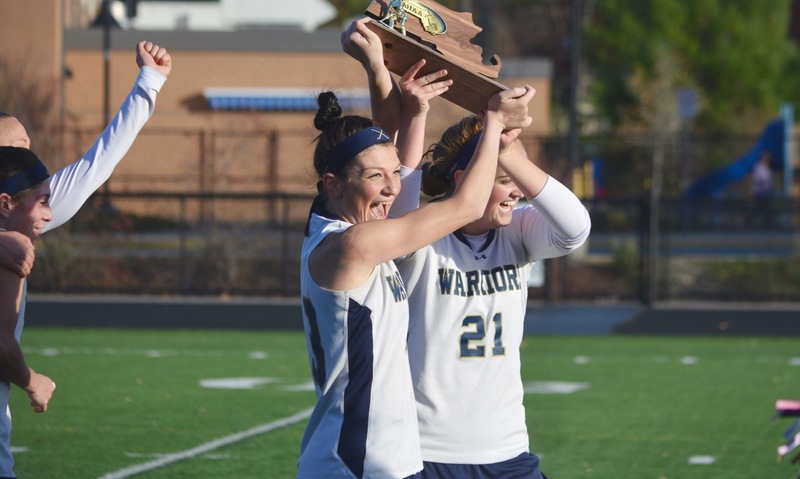 After a clearance, the Warriors got the ball back into the attacking zone and Jackie Brion launched a ball through the area but no one on Foxboro could get a stick on it. McCarthy’s kick clearance in overtime came just 30 seconds in, setting the tone for the Warriors. Foxboro had back to back penalty corners with the second eventually leading to the offensive possession that resulted in the game winning goal. Foxboro will take on Falmouth, who upset #4 Bishop Stang in the first round and then knocked out #16 Medway in the semifinals. The time of the game will likely be announced on Wednesday following the results from the D1 semis.